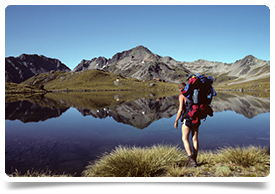 We have a number of unique yet very exciting opportunities in the picturesque West Coast Region of the South Island of New Zealand for adventurous General Practitioners looking for a new adventure. Greymouth is the largest town on the South Islands West Coast. The mouth of the river divides the town into three areas. The location offers remarkable views from the coastal Point Elizabeth Walkway and also has great opportunities for caving, river tubing, white-water rafting to the more relaxed activities such as sea fishing & fly fishing. The region comes with the unique opportunity to work in rural practices which gives you more variety and exposure to primary and secondary care than that of urban practices. With the national parks, coastline, rivers, lakes, mountains and glaciers as your backyard, you'll struggle to find a place that offers more scenic beauty and outdoor activities. The TranzAlpine passenger train which is names as one of the top six train journeys in the world runs from Christchurch, taking you through the stunning planes of Canterbury then right through the Southern Alps where it then terminates in Greymouth. If you are looking for a change of scenery or even a change of pace and have a love for the outdoors, this could very well be the location and the job opportunity you have been waiting for. New Lifestyle, New Adventure.... Why not make it New Zealand. Medical professionals are well-remunerated and enjoy good working conditions and an excellent work life balance in New Zealand.